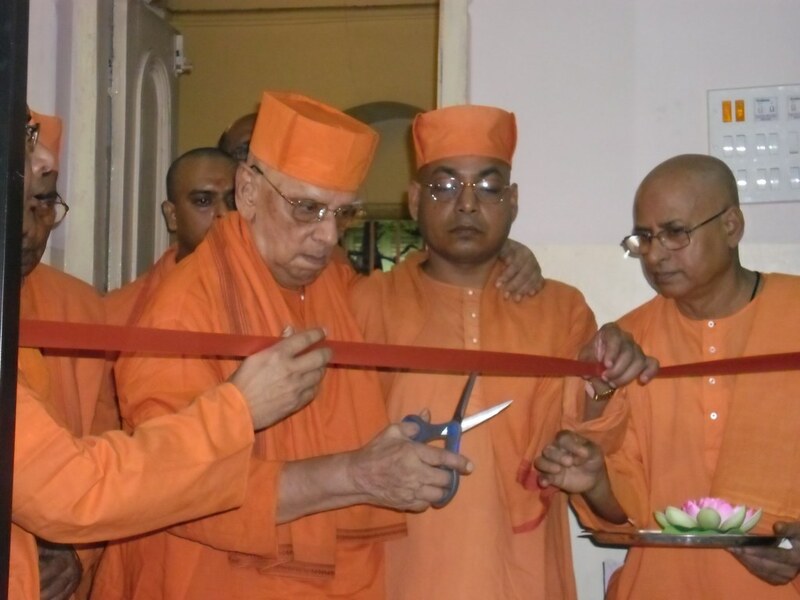 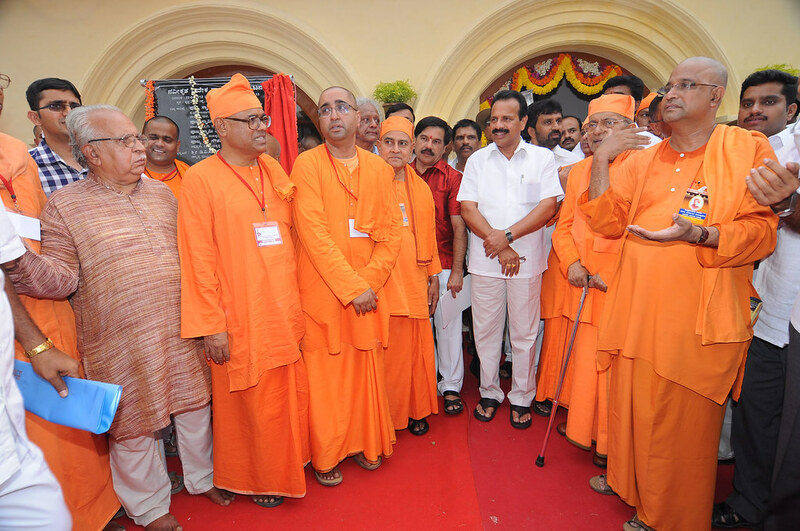 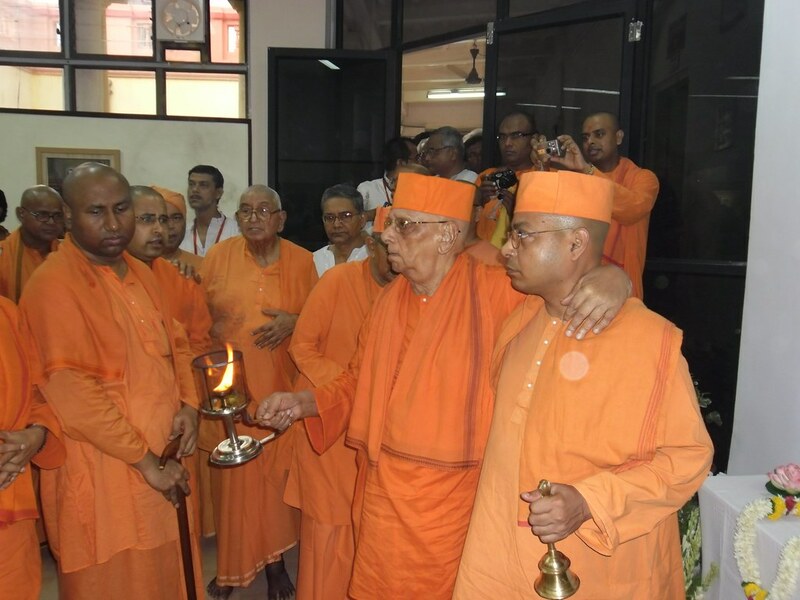 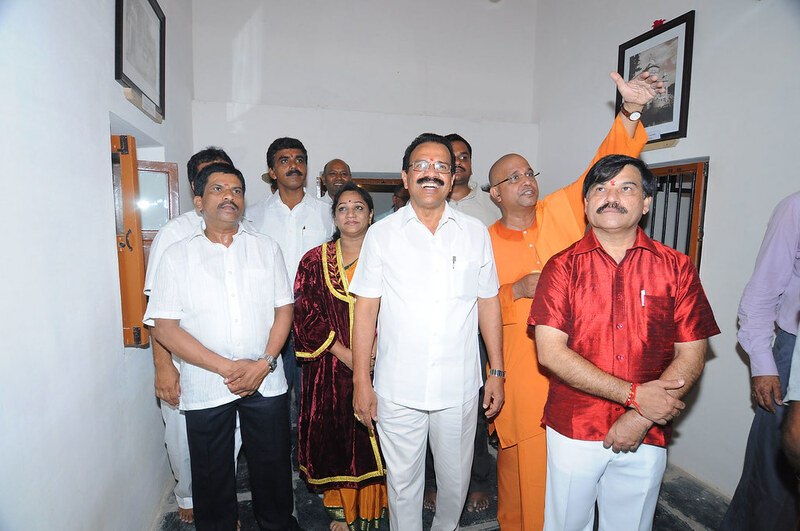 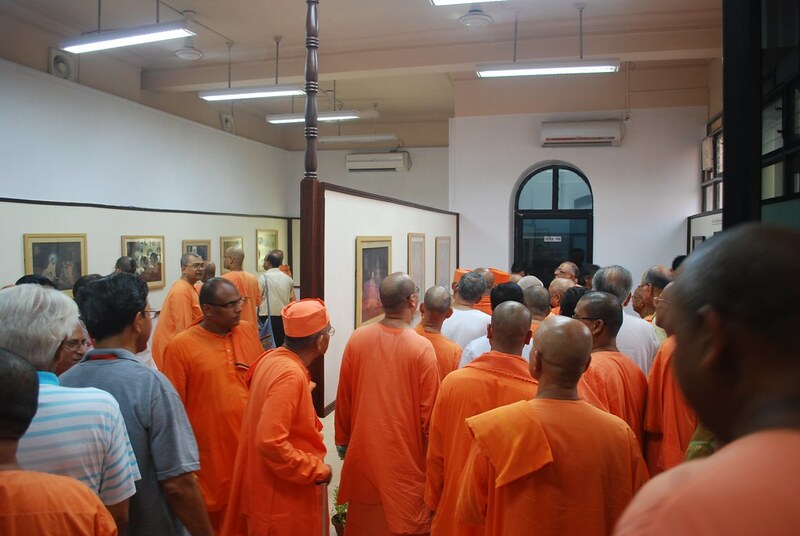 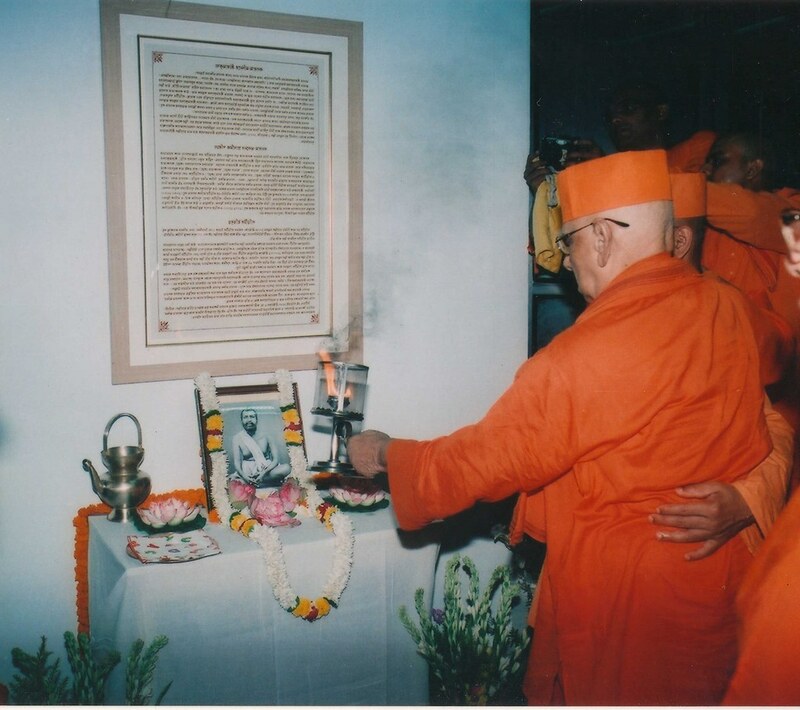 On the 29th April, 2012, the Most Revered President Maharaj of the Ramakrishna Math and the Ramakrishna Mission, Srimat Swami Atmasthanandaji Maharaj, ceremoniously inaugurated the “Exhibits on the Divine Plays of Sri Ramakrishna at Balaram Mandir” by offering puja and aarati to Sri Sri Thakur. 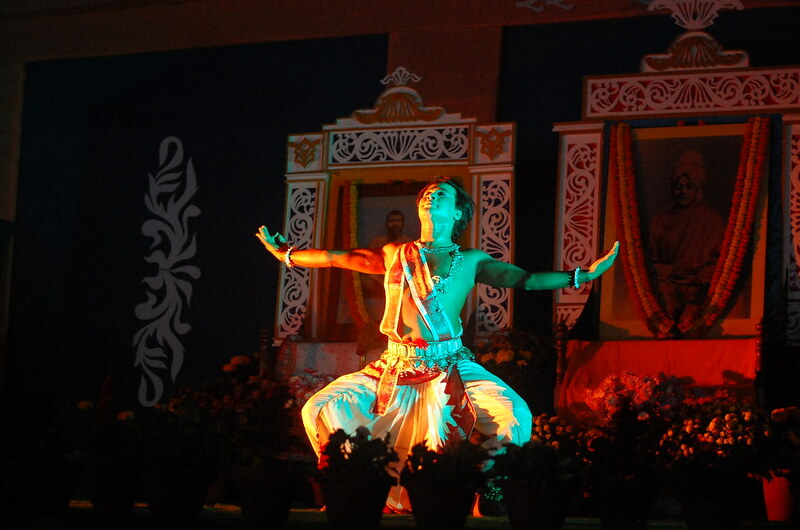 Revered Maharaj was most pleased on this occasion and went round to see the exhibits in an exalted mood. 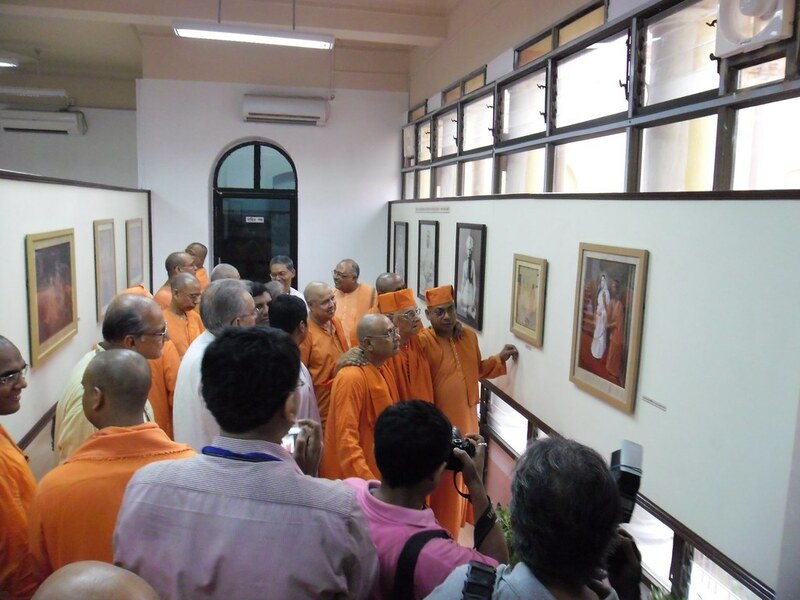 Each exhibit in this newly-opened collection-room depicts a particular scene of the divine lila played by Sri Ramakrishna, Sri Ma Sarada Devi and the direct disciples of the Master during their countless visits and stays at Balaram Mandir. 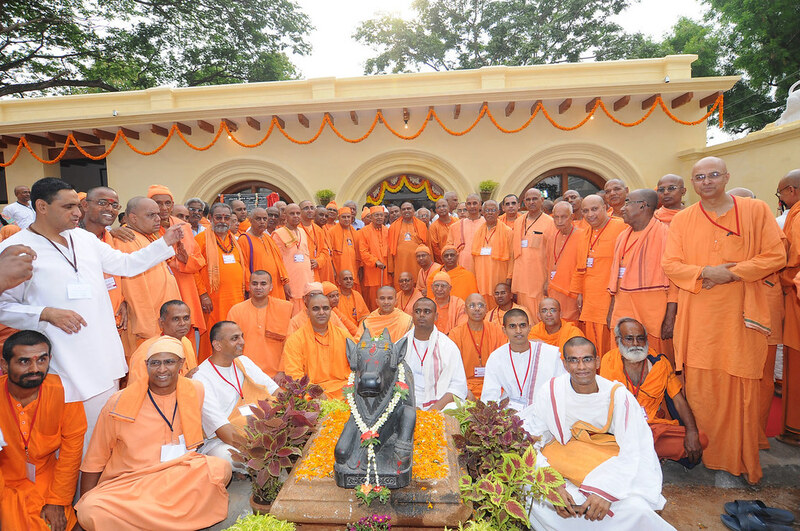 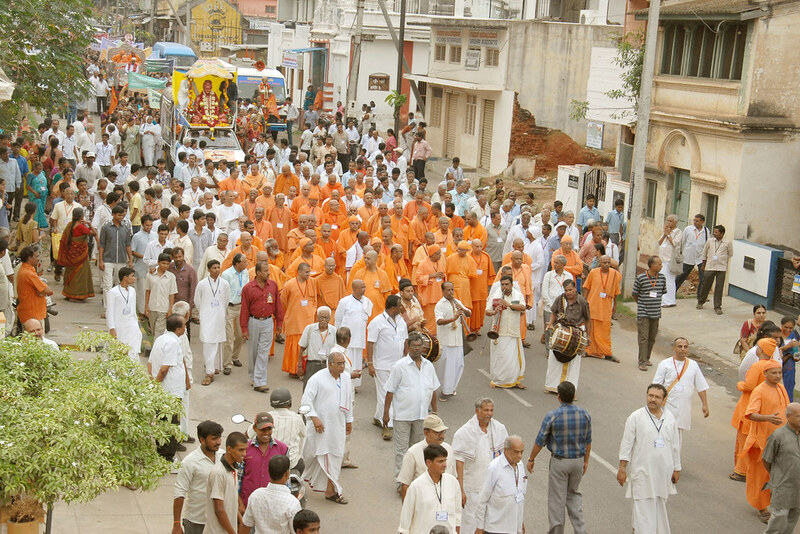 This most auspicious occasion was attended by a large group of monastics, devotees and a few dignitaries. 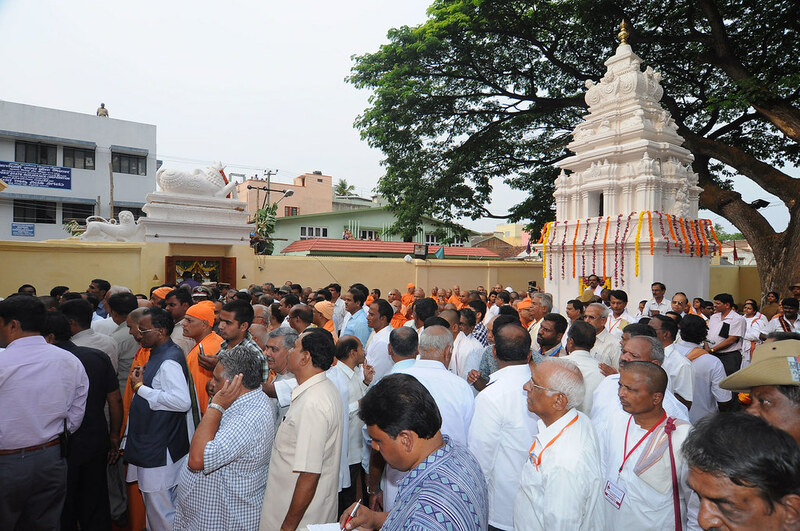 To commemorate Swami Vivekananda’s visit to Mysore, the place where he stayed was declared a monument and named ‘Viveka Smaraka’ and inaugurated by the Chief Minister of Karnataka. 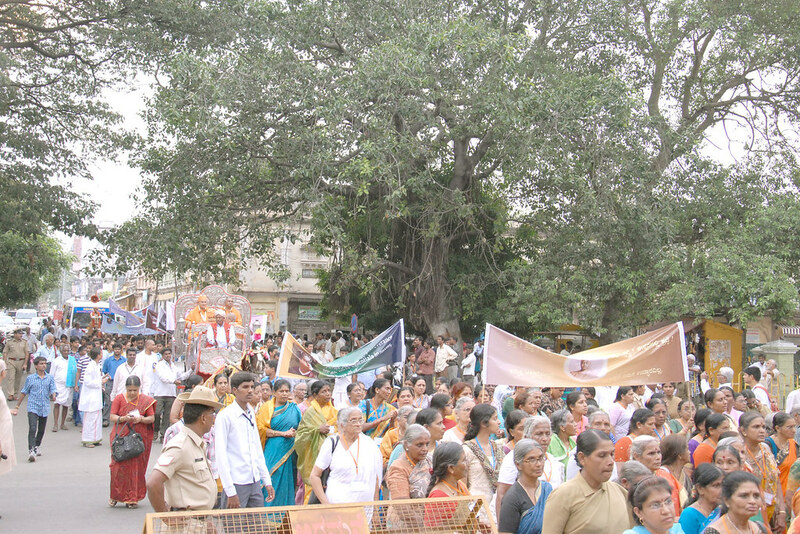 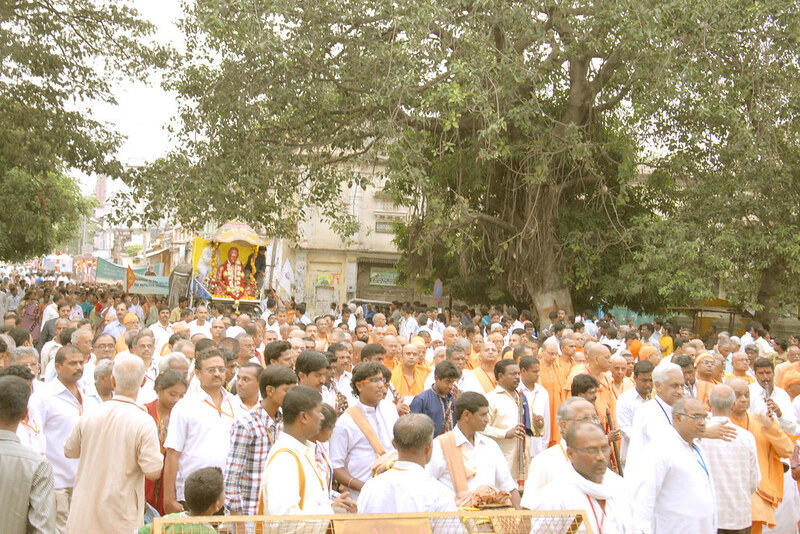 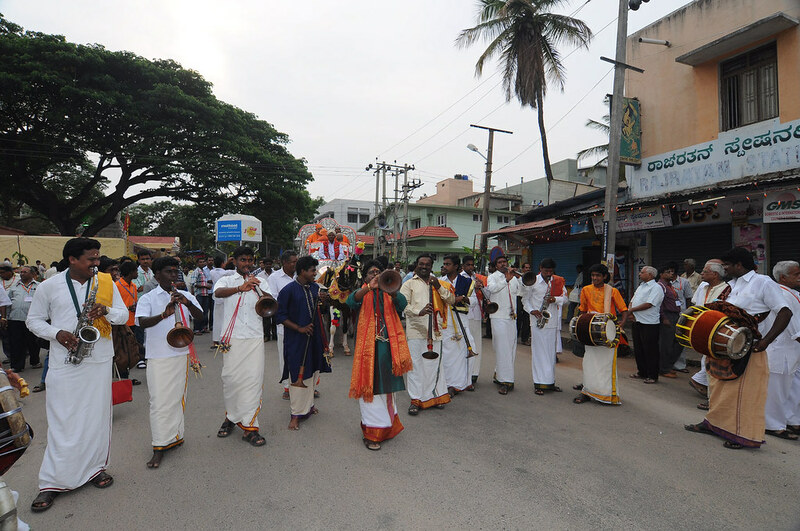 From ‘Viveka Smaraka’, there was a procession to Mysore palace, where Vivekananda had also visited. 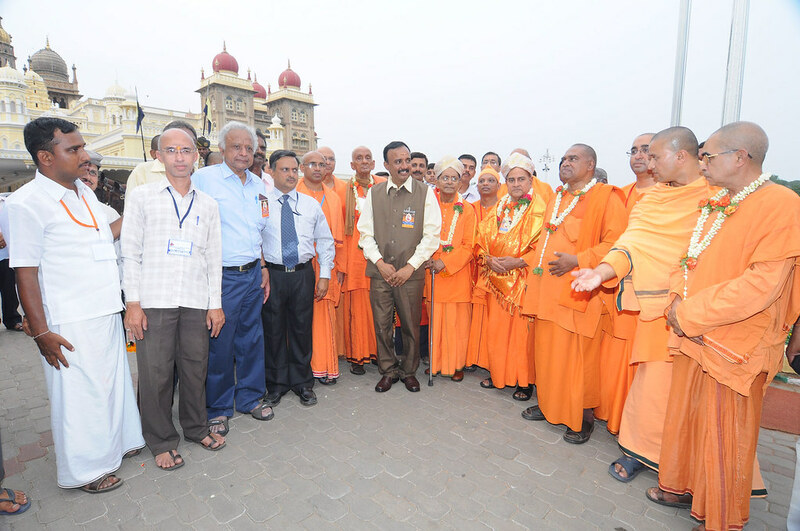 At Mysore palace there was a public meeting to commemorate Swamiji’s visit which was attended by many dignitaries including the Chief Minister of Karnataka. 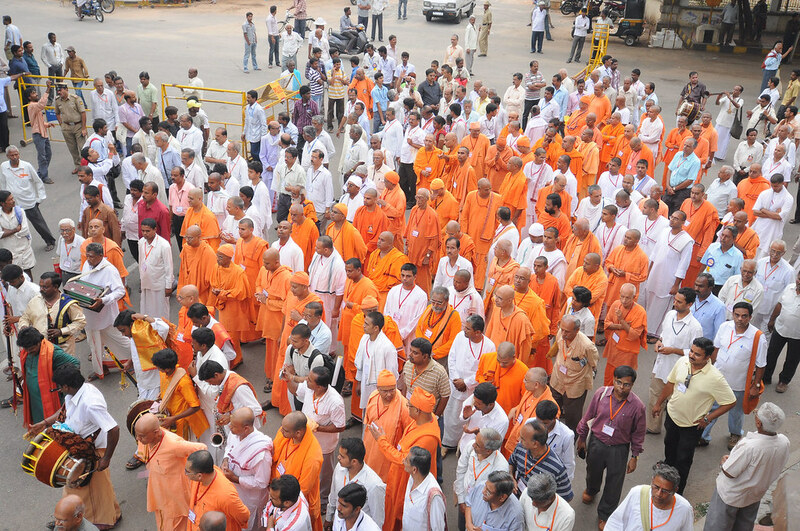 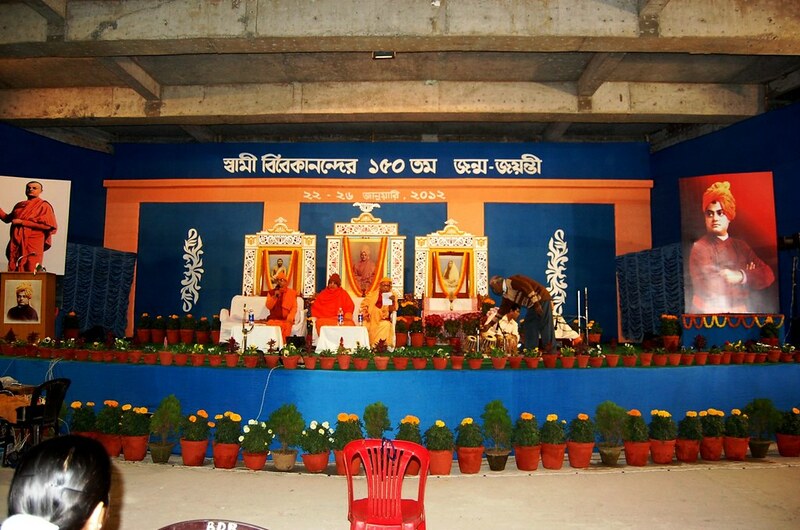 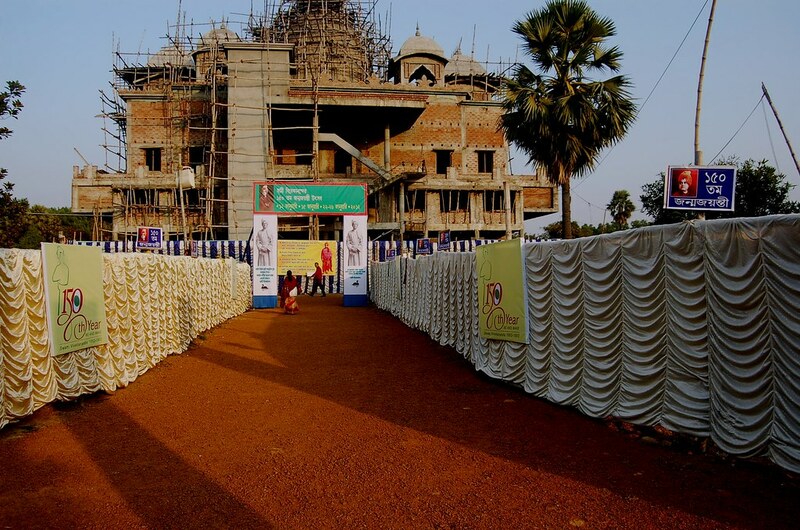 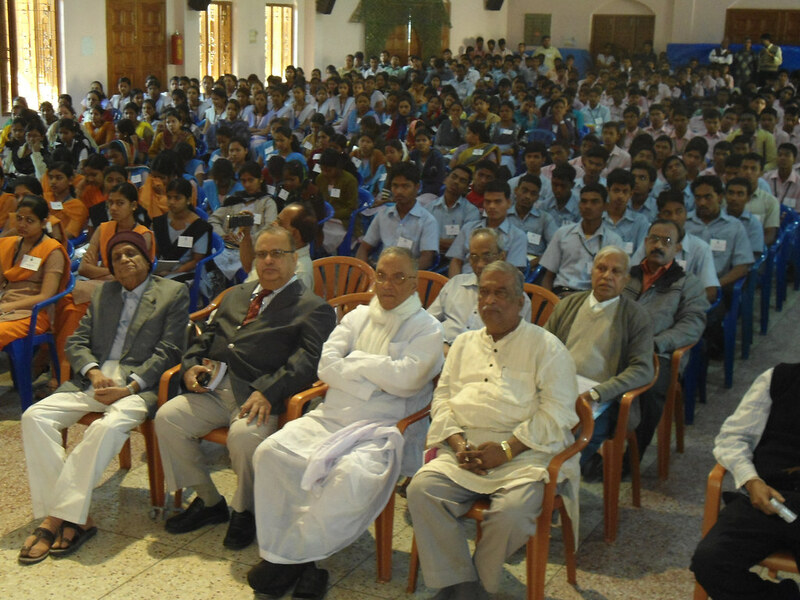 There was a five day long festival held from the 22nd to the 26th January, 2012. 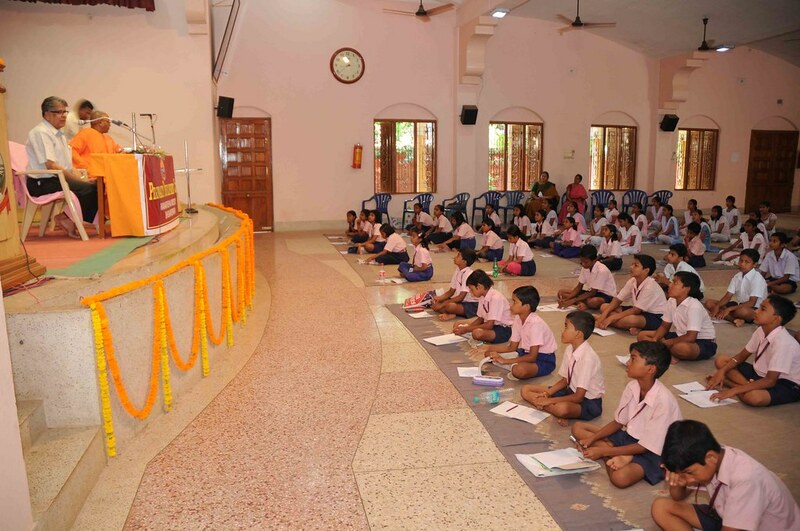 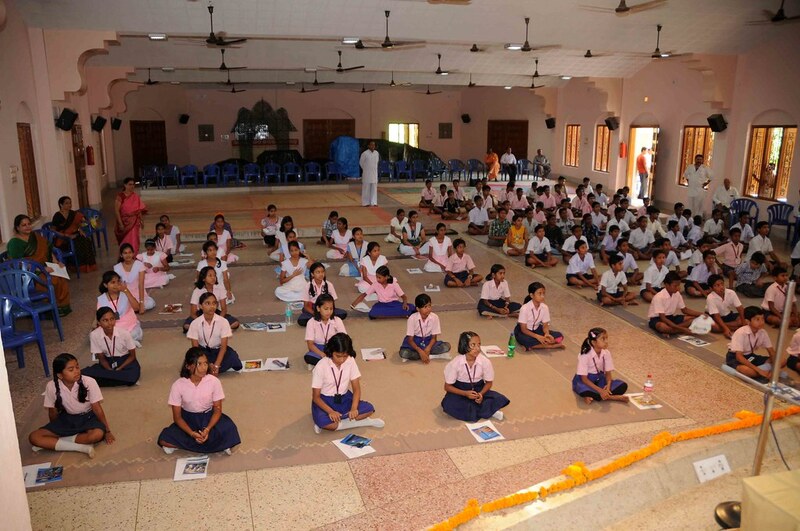 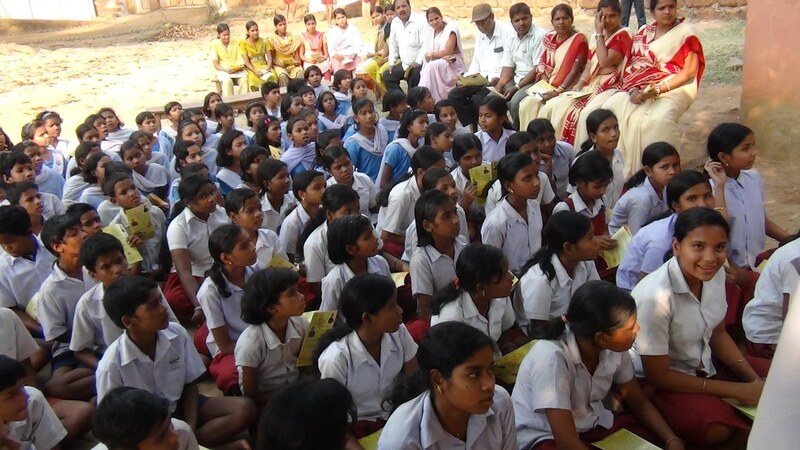 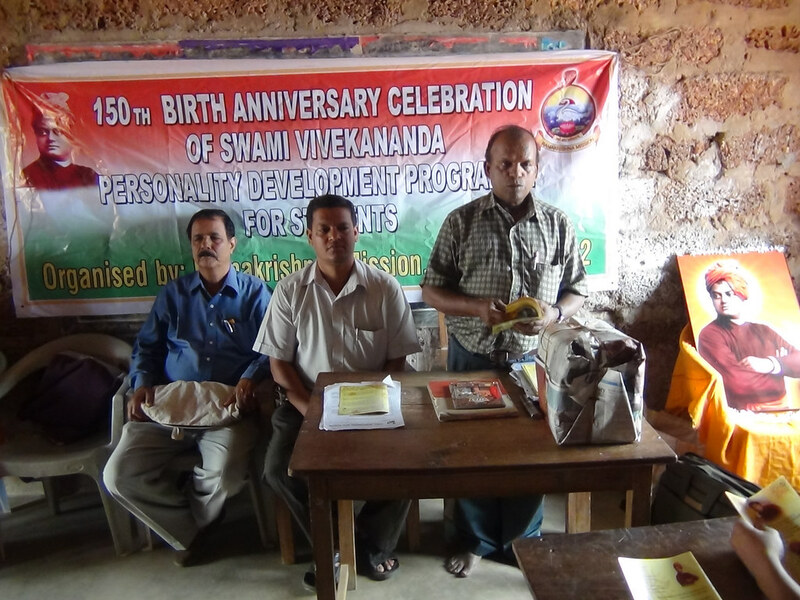 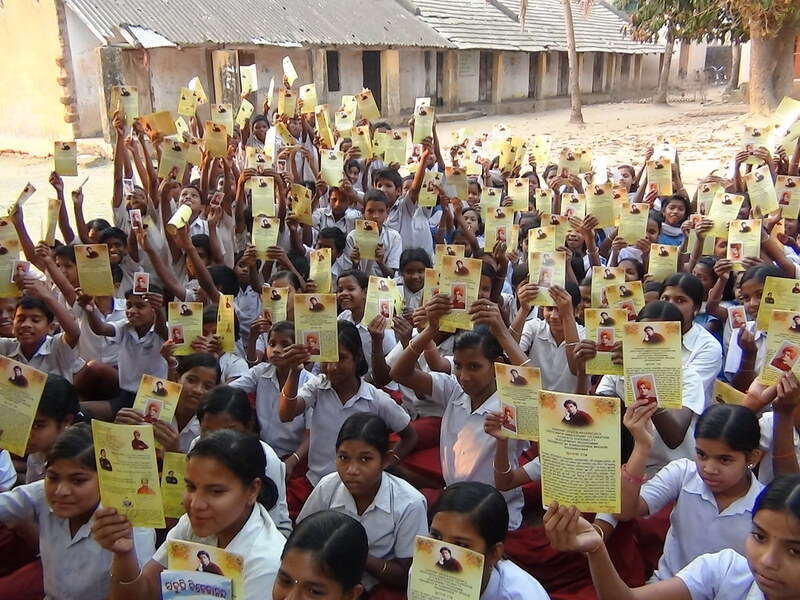 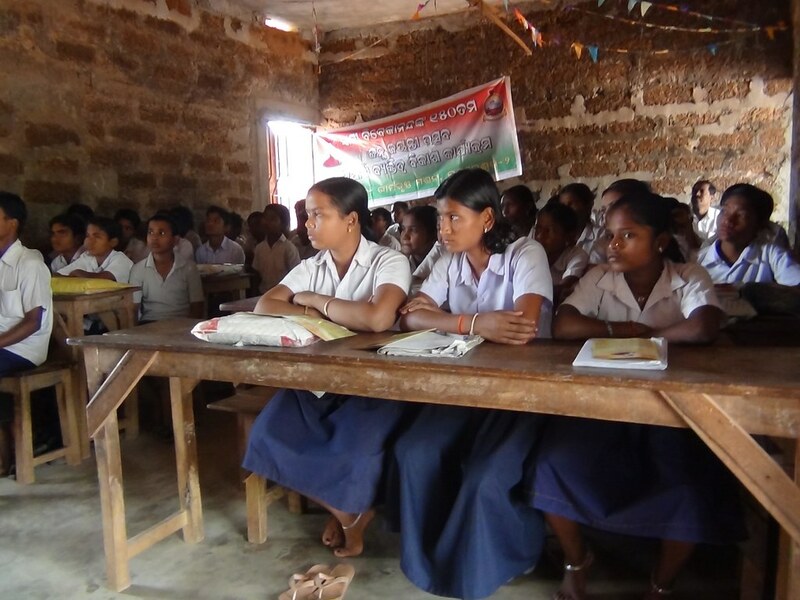 Everyday various programmes were arranged in the afternoon, which included selling Ramakrishna-Vivekananda-Vedanta literature at exceptionally concessional rates. 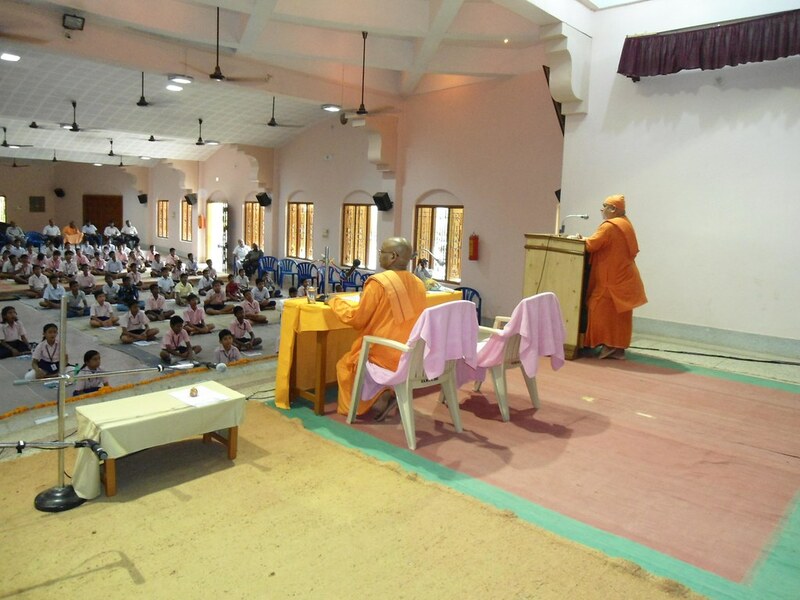 About 200 students from 12 schools participated in the inter school quiz competition on Swamiji on 24th & 25th from 12 p.m. to 3.30 p.m. 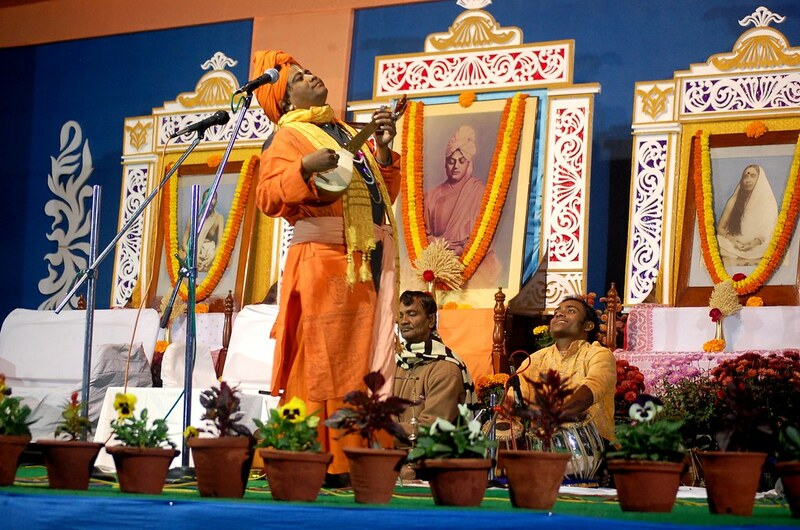 While the book festival occurred everyday from 2 p.m.- 7.30 p.m. the evening sessions (5p.m. 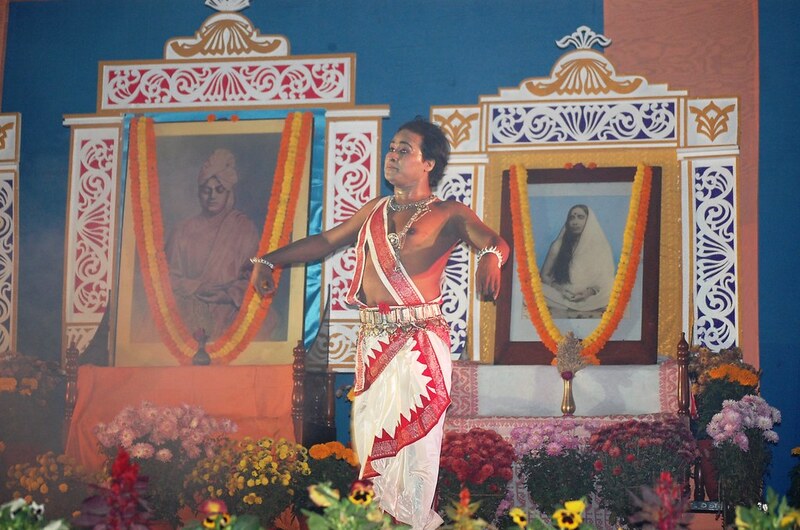 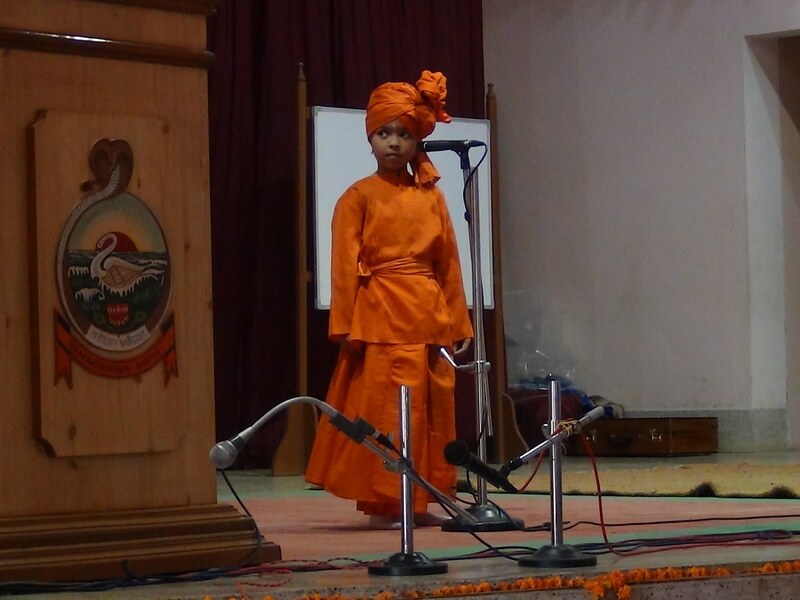 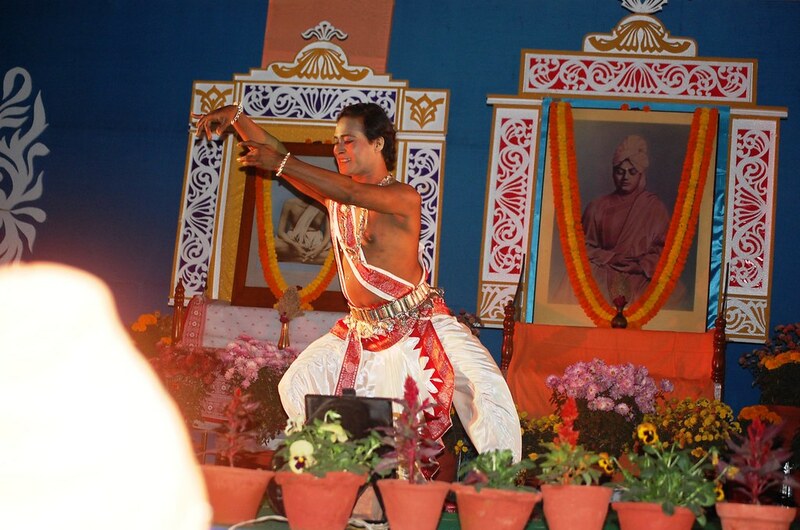 – 8 p.m.) were dedicated to lectures on various topics, devotional songs, folk song, classical dance etc. 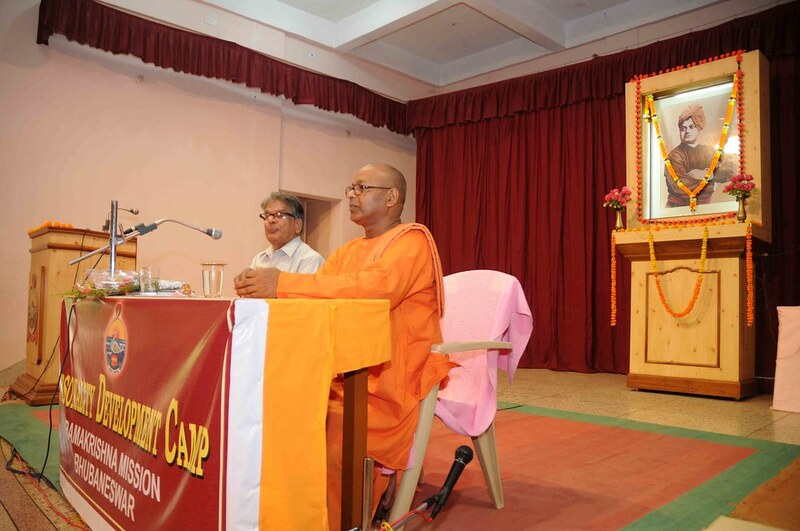 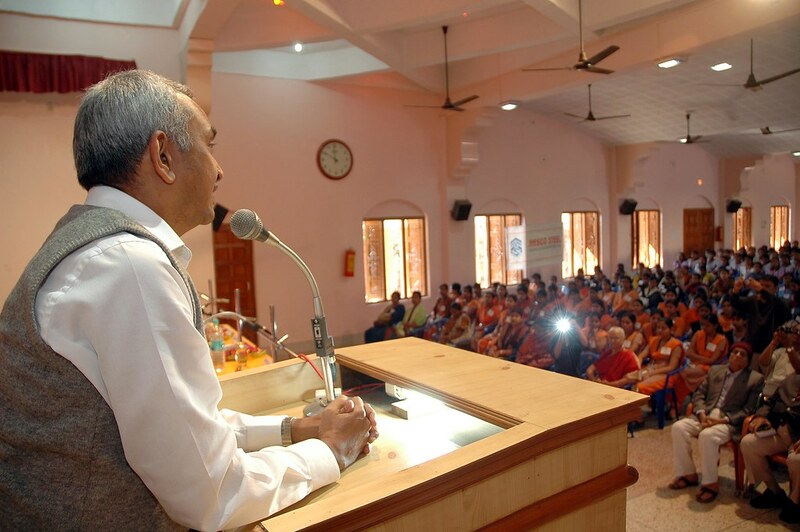 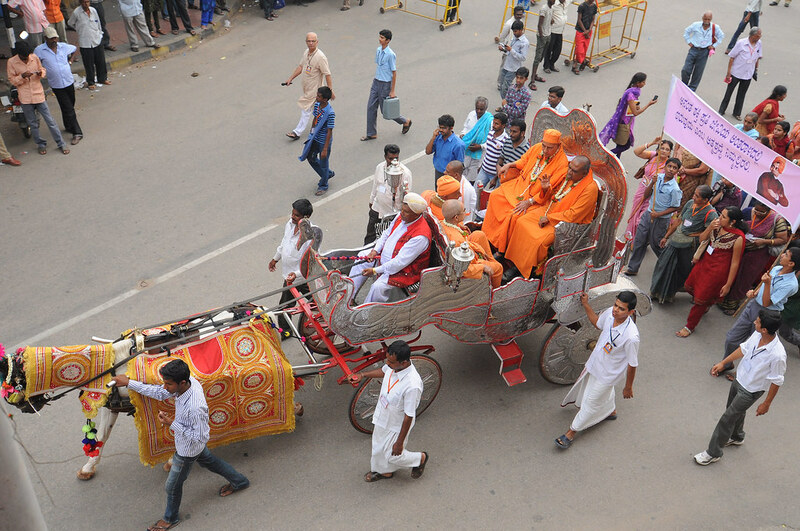 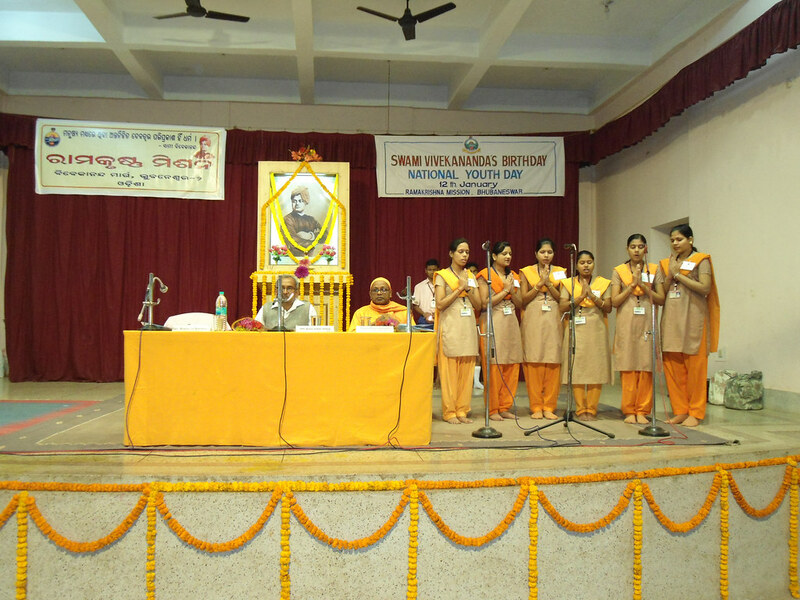 Some of the speakers included Swami Nityasuddhananda (topic – ‘Swamijir Sevadharma’), Swami Girishananda (‘Swamiji O SriSriMaa’), Swami Sarvagananda (Swamijir Drishitite Sri Ramakrishna’), Swami Balabhadrananda (‘Swamiji O Netajir Bharat Bhabna’) on the 23rd, and (‘Swami Vivekananda O Swami Brahmananda’) on the 25th – the tithipuja day of Swami Brahmananda, Swami Sukhananda (‘Swamijir Dharmachinta’), Swami Bhaskarananda (from Para) (‘Swamijir Pratyasita jana O Nari Jagaran’), Jiban Banerjee (‘Sri Ramakrishner Drishtite swamiji’), Dr. Pabitra Kr. 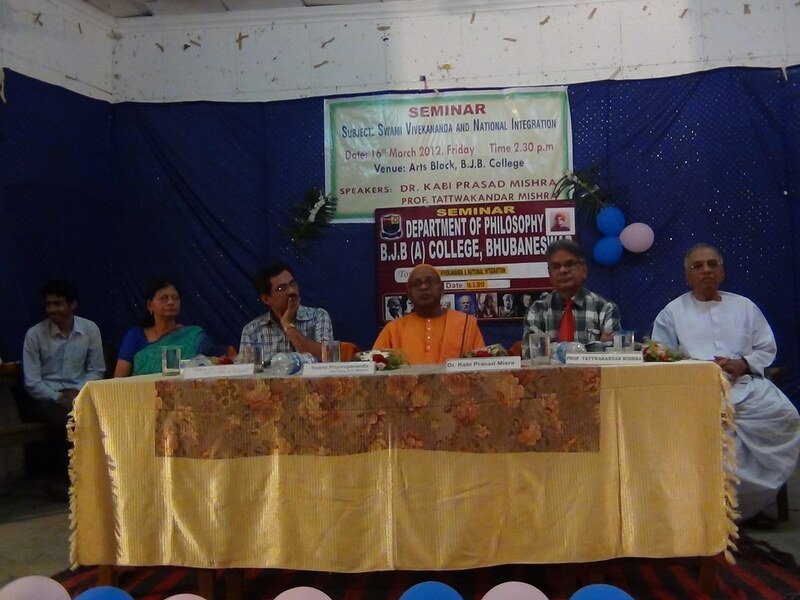 Gupta – Ex-Vice Chancellor, Bidhanchandra Krishi Vidyalaya (‘Swamijir Samajchinta’), and Swapan Banerjee (‘Swamijir Sikshachinta’).